OEM customers are regularly seeking a complete (all-in-one-house) supplier for their custom products. Die Castings USA serves this customer need by providing an fine tuned list of secondary services. For start-up or multi-tool operations we utilize our CNC equipment, allowing our team to complete secondary machining at one station. 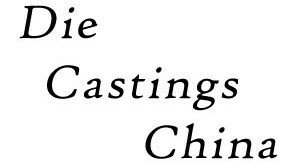 At Die Castings China, we customize our machining services to efficiently meet the strict tolerances and project requirements. All in-house machining and secondary services are completed through more than 40 sets of imported CNC machining centers, 30 sets of lathes and a variety of general processing equipment from blasters to Ultra Sonic washing machines. Our industry leading facility has the experienced team of Engineers, Operators and Inspectors to finish your part in-house and avoid excess costs with outside suppliers. As you can see from the photos below, we have a large section of our manufacturing facility that is dedicated to machining and finishing services. Machining services are one of the core advantages in our China facility. The OEM parts are processed through automated and user operated CNC machining (types of CNC equipment include: horizontal, vertical or 5 axis). These secondary service operations can include grinding, trimming, deburring, vibratory finishing, milling, drilling, tapping, threading, polishing, pressure testing, ultra washing and final assembly. These are just some of our secondary manufacturing services. Our range of heat treatment options include: T4, T5, T6 and T7. These treating services allow product weldability, rivet and glue joining, as well as low porosity shapes. Also, we provide fully kitting and product assemblies with custom packaging as per customer specifications and needs.